BETWAY HAS announced its partnership with Cricket South Africa as the official sports betting partner to the inaugural Mzansi Super League (MSL) T20 tournament. The tournament has positioned itself as “F ast. Fun. 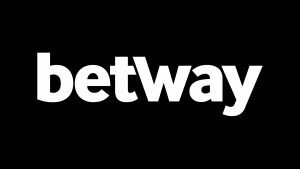 For All” which aligns well with Betway who provide anybody over the age of 18 with a safe, convenient and fun way to share the thrill of their favourite sports while standing a chance to win off their predictions. Until now the Betway brand has been more synonymous with soccer sponsorships ranging from West Ham United in the English Premier League to various La Liga, Serie A, Bundesliga teams and a number of teams in their 6 African markets. The appeal of the MSL T20 though was impossible to ignore and Betway is proud and excited to be involved in this homegrown tournament that is broadcasted live on SABC. “Betway is committed to sports development in the markets and communities in which we operate, and we feel that the MSL T20 is destined to unearth great new South African cricket talent and also to showcase the very best that we have to offer to both a local and global audience” said Mark Rowles, Head of Marketing for Betway in Africa. Follow Betway’s social media platforms to catch all the hype and excitement around MSL T20, special offers, unique content and competitions throughout the tournament. The Mzansi Super League (MSL) T20 tournament began from November 16 to December 16 2018.